Mr. Woodward, I respectfully disagree with some of what you say. 1) I am glad to hear that you and your colleagues never lost a case, and they were always properly investigated, prepared and prosecuted. Unfortunately, not all law enforcement agencies have that same enviable record. For the past twenty-plus years, we have seen a mounting number of stories of sloppy work, improper investigations, and resulting tainted convictions. Even more disturbing than sloppiness is that DNA now tells us that — even though officers have followed standard law enforcement practices perfectly, mistakes still occur regularly, because those standard practices are just not as accurate as we all used to think — and I include myself among those who used to think this. We simply cannot ignore these facts. 2) To create a CIU is not “to admit that we don’t know how to get it right the first time around.” Rather, it is to admit that we are human, the system we work in is constructed and staffed by human beings, and human beings make mistakes. And those mistakes have begun to show up, with disturbing regularity. When we create a CIU, we simply say that even the most competent, best intentioned people don’t always get it right, and when we get it wrong, we should have a mechanism to correct the mistakes. 3) CIUs do not send the message that prosecutors or investigators are incompetent or biased. A few are, but the great majority are not. Rather, it is simply a recognition people don’t always get it right. 4) This isn’t about giving advocacy groups or “left leaning types” more ammunition to attack the integrity of the justice system. On the contrary, this is about preserving the integrity of the system. 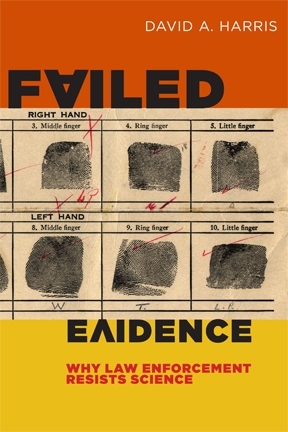 The examples of jurisdictions that have created breakthroughs on these issues that you will find in my book Failed Evidence all feature leaders who come from the political right. They took these issues on because they understood that the integrity of the system is at stake when we will not admit that mistakes get made and correct our systems to do better. I believe in what one of the founding fathers, John Adams said “Better that one hundred guilty men should go free than one innocent main should go to jail”. Having said that, I can say that in more than thirty years in law enforcement, our cases were always properly investigated, prepared and prosecuted. We never lost a case mainly because the evidence of guilt was so overwhelming. This is being said from the perspective of the federal judicial system which may be perceived by some as less work load more resources etc. But, that should not matter. It just seems to me, that establishing a CIU is to admit that we don’t know how to get it right the first time around. Further, that we have hired prosecutors, investigators support personnel etc. who are perceived as incompetent, biased or otherwise not impartial as is required by the “Innocent Until Proven Guilty” right, hence the perception that we need to re-litigate all that they do by use of a So called Conviction Integrity Unit. This just gives the Amnesty Int and left leaning types more fodder for arguments against punitive judicial systems v. The rehabilitative view of judicial systems. They become even more wrongly convinced that we have a system that is in and of itself “unjust”. So, Instead of creating more “Empire” infrastructure ie; a CIU in each prosecutorial jurisdiction; would it not be more desirable to focus on parts of the greatest most just judicial system ever created and fix only what may be occasionally in error?